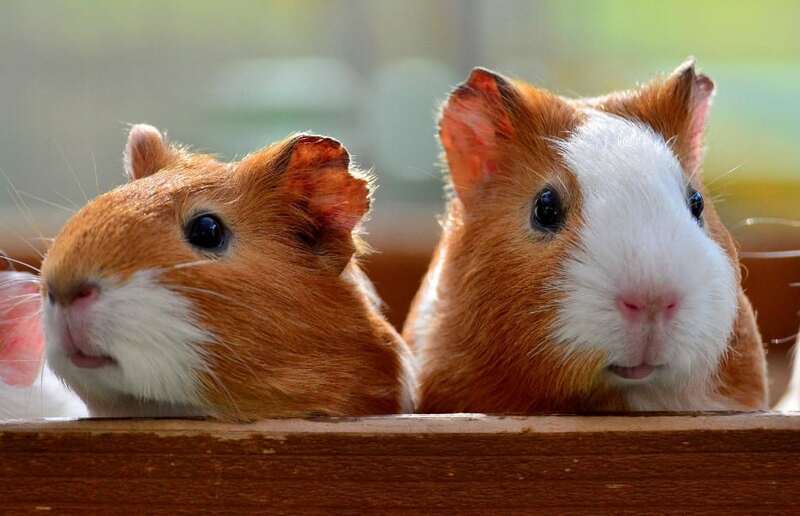 Guinea pigs are delicate and adorable little critters and they make wonderful pets. Apart from the cage, hay, pellets, and toys, you will need the best guinea pig bedding for their tiny feet. Good-quality bedding will prevent many health issues. 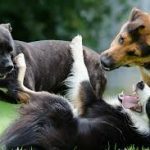 It will also keep the unpleasant odor of urine, which is also a potential health risk for your furry pet, to the minimum. Guinea pig bedding also has to be readily available, affordable and convenient for you to handle, change and dispose of. The choice of bedding depends on the setup of your best guinea pig cage, the availability, the quality and the convenience. You cavies need soft but absorbent bedding which will make their home comfortable as well as sanitary. The type of bedding you’ll go for depends on its benefits as well as of your budget and personal preferences. In addition, your cavy’s cage might be set up in the way which requires a particular type of bedding. Economical, available, fairly absorbent and provides warm flooring background for other complement bedding materials like shavings. It makes cleaning easier but if the material is really soft and fluffy, it may get messy around the cage. A little more expensive than paper shavings, these are widely available. What you need to bear in mind is to double check that wood shavings do not cedar as it contains phenols. Aspen shavings are safe wood bedding and do well with both odor control and absorbency. Pine shavings contain volatile oils. These oils, namely phenols, are a potential hazard for your piggy’s respiratory system and/or liver if used for longer periods of time. Some owners and pet specialists claim that guinea pigs have no objections or get no harm from pine in the wild. Others only used pine which has been kiln-dried. So if you get wood shavings and they have a strong smell of pine, there is a considerable amount of phenols present. It is recommended to open the shavings’ bag and disperse the shavings in an open container and wait for several days for the volatile oils to dissipate. Cedar is on the DO NOT USE list because of phenols. It is considered toxic, not just for guinea pigs but for other small animals as well. Newspapers and straw are also best avoided. They have to be replaced daily and are not absorbent enough. The paper ink might be harmful and the hay can be messy or stale. These are second most economical bedding material. They are a little more difficult to find and occasionally a tad too hard on cavies’ tiny feet. It’s best to combine them with other bedding materials to make them more comfortable. Wooden pellets are great as regards preventing odors. They are also easy to use and often dust-free, but that depends on the brand. These are becoming more and more popular alternative. They contain formulae which are providing great absorption and a pleasant odor throughout the week. I change mine once a week and thoroughly clean and dry the plastic tray before adding the new layer. My pet pees in one corner only so I usually put a 1/3 inch thicker layer of bedding in that corner. The granules I buy have a mild smell of lavender and come in paper bags. They are easy to handle as long as the granules come without much dust. Whichever safe bedding you go for, you’ll need to scoop out the wet areas and pick up the feces as often as possible. You should do a full clean and remove all of the bedding from the cage at least once a week. Clean the bottom of the cage as well. A cheap and effective way is to use vinegar and water solution made of two parts water and one part vinegar. Once you have cleaned the cage bottom, add about one to two inches of new bedding and your cavy will be grateful for a clean and nice smelling home. 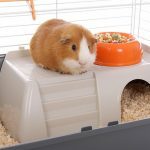 Carefresh Custom Guinea Pig Bedding is designed to meet the unique needs of guinea pigs. It will go easy on their tiny feet and make it super convenient for you to maintain your furry pet’s home healthy and cozy. It’s formulated with natural reclaimed paper fiber pieces that are 25% larger than average bedding. This makes them the perfect size for playing, piling up and nesting. Your loving furry pet will stay warm and dry with this super-soft bedding which expands up to two times its volume. It is three times more absorbent than wood shavings. This bedding won't fall apart or stick to the bottom of your pet's habitat while you’re cleaning it. It makes it easier to spot clean the cage while being super-soft for your piggy’s feet. Advertised as 100% sustainable and renewable, plus 99% dust-free, Carefresh Custom Guinea Pig Bedding is also affordable and widely available for your convenience and are just the solution your cavies’ cozy home needs. 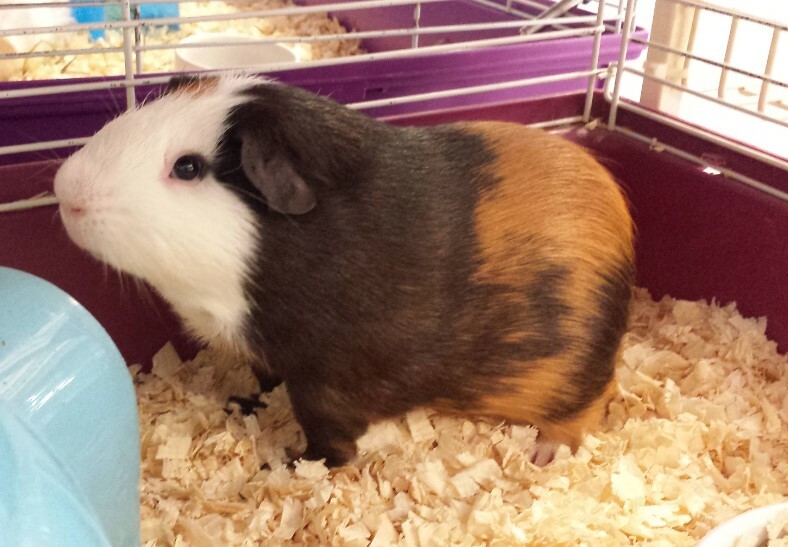 Vitakraft Bedding will keep your cavy’s home healthy and sanitary while smelling fresher longer. The super-soft crumbles with odor blocker formula absorb moisture very fast and offer reliable odor control for up to 14 days. This bedding is made from 100% recycled paper. It is non-toxic, unbleached and completely safe for your furry pet. Vitakraft Bedding is really easy to clean up. It is 99.5% dust free, which leads to less mess as well as a healthy habitat for your guinea pig or other small animals. To change your piggy’s bedding, scoop up and throw away the old one. Clean the cage thoroughly once a week and dry it completely. Then place the Vitakraft Bedding on the bottom of your pet’s home. The Odor Blocker Formula successfully neutralizes the ammonia found in pet urine. By helping to eliminate odors for up to 14 days, this product will provide a fresh and clean-smelling environment for the pet to enjoy. With softness comes a certain amount of mess, depending on how lively our cavy is. Your pet’s coat might catch bits of litter, which may then scatter when he runs around. However, it vacuums up very easily. The cage itself won't smell and the litter won't wet on the surface for several days. The product itself is nontoxic, biodegradable and proudly made in the US. Kaytee Soft Granule Blend is a refreshing and odor-neutralizing formula which will make your pet piggy love its home even more. You will certainly like the pleasant scent of lavender as well as the effectiveness of this bedding. As you probably know, the unpleasant odor is not just caused by urine but also by poor quality bedding or infrequent cage cleaning. Made from reclaimed wood fiber converted into soft and highly absorbent bedding, Kaytee Soft Granule Blend Lavender Scented formula will neutralize the odor and bring freshness into your cavies’ habitat. Previously sanitized to control bacteria, this product contains genuine herbal lavender for a mild and soothing scent. Kaytee Soft Granule Blend is safe to flush and contains no aromatic oils or inks. It may, however, clog your plumbing so we don’t recommend this way of disposal. To use the bedding, cover the cage floor with 1-2 inches and change it weekly for best performance. This eco-friendly bedding is 99% dust-free with less mess. It’s also 20% more absorbent than average bedding for better efficiency. Kaytee Soft Granule Blend expands to 3 times its size and can hold up to 4 times more its weight in liquid. 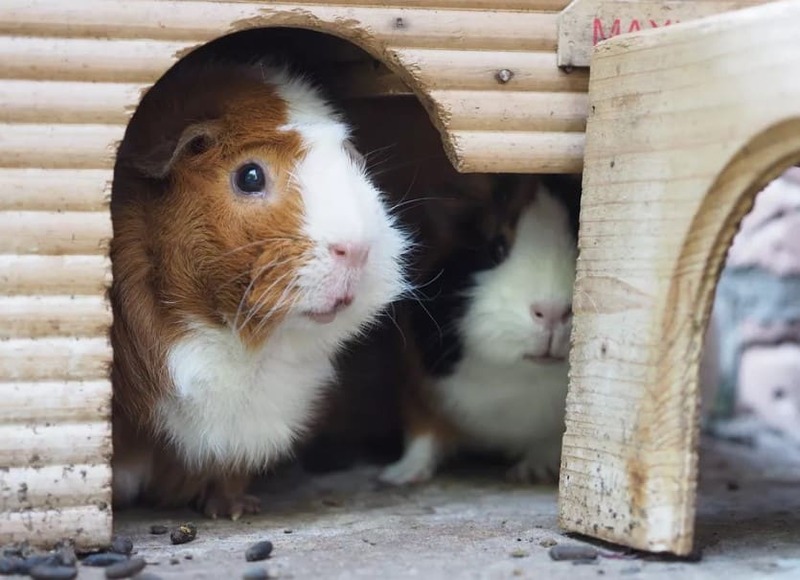 Soft and pillowy to the touch, it’s safe for your pet and it will effectively eliminate odors to help you maintain the cavy cage a clean and fresh home. Carefresh Complete Pet Bedding uses a formula which has been proven in independent tests to suppress ammonia odors for 10 days. It will keep both your pet’s and your own home smelling fresh and clean. Made from natural reclaimed paper fibers, this bedding absorbs 3 times more liquid than some of the wood shavings marketed. The unique material and manufacturing process ensures that this bedding is virtually dust-free and won't fall apart or stick to the bottom of the cage. You won’t need a face mask to do the cleaning and it really is an easy chore. Carefresh Complete Pet Bedding contains pieces which are the perfect size for your guinea pig to play, nest or burrow. The manufacturer proudly states that all of their bedding products are 100% biodegradable and compostable. You will get a superior performance along with a product that's good for your pet and good for the environment as well. Make sure to clean the cage completely once in every 5-7 days and do a little spot cleaning when needed. The Carefresh bedding will provide a cozy, healthy and comfortable layer of soft and fluffy cavy playground. Kaytee Clean And Cozy Small Animal Bedding has been formulated with your furry little pet’s best interests at heart. Kaytee Pet Bedding is a soft paper-based litter that is comfortable under the tiny cavies’ feet of your small pet. In addition, it is highly effective and offers guaranteed odor control as well as 20% more absorbency than less quality bedding brands. The absorption power of Kaytee pet bedding guarantees that your small pet won 't have to worry about nesting in wet or soiled habitat. The odor control and absorbency properties make it ideal for use as other small animal bedding such as rabbits, hamsters, and gerbils. Since small pets might get allergies and irritations due to the inadequate environment, Kaytee bedding is specifically designed to be 99.9% dust free. The paper material that makes up this bedding meets food contact standards set by the FDA. The product itself will do a great job. However, not maintaining a clean cage will result in your piggy developing respiratory problems due to ammonia build up in the cage caused by urine. This is why you should regularly replace bedding with a fresh layer. This product can be purchased in compressed packaging, which offers greater value and easier alike.